The MacroRAM is based on a 120 mm focal length spectrograph with a single aberration corrected concave grating with a flat field output. Watch the video here. I'm using the Millipore Direct Q 5 UV water system, and am trying to calibrate the flow rate. There is a delay in the water dispensing which is causing the "flow rate calculation" to be lower than it should be. Does anyone know how to fix this? Advise this member. Currently receiving reports and free run messages from ports A and B, respectively. Noticed that serial ports have both Tx and Rx lines which indicates the possibility of sending commands and/or changing parameters remotely. We would like to send "print report" commands remotely. Is this possible? Advise this member. 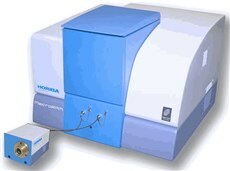 I have a Biostat C bioreactor. The water recirculation pump was replaced a few months ago. The pump seems to not be working again only after a few runs. The pump turns slowly, and there's a low grinding sound. Has this happened to anyone before? What things can I do (if any) to prevent this happening again? Advise this member. The temperature controller has a PID to adjust its output features. Its output power is adjustable and the temperature measuring errors can be corrected with timing function available. BioTek Instruments is pleased to announce its collaboration with MilliporeSigma on an integrated solution for long-term live cell experiments and dynamic time-lapse analyses, including automated cell perfusion and imaging. The solution leverages each company’s respective expertise, and consists of BioTek’s new Lionheart™ FX Automated Live Cell Imager and MilliporeSigma’s new CellASIC® ONIX2 Microfluidic System. Read more. Peak Scientific, a market leader in laboratory gas generation, is proud to announce that it has been recognised not once but twice in the 2016 Queen’s Awards for Enterprise. This is Peak Scientific’s fifth Queen’s Award granted in recognition of the company’s international trade and overseas revenue growth, as well as a first in Innovation, recognising the Peak Protected Complete Service Plan product. Read more. Prior Scientific announce the new HZP series of adjustable rigid post mounts which provide an affordable, simple, flexible and stable solution for your electrophysiology applications. Designed for use with upright and inverted microscopes and available in four different heights, the Prior HZP series is designed to work with Sensapex zero drift solid state and other popular micromanipulators. Read more. ESPEC has been building test chambers in the United States since 1983. They are part of the ESPEC Group, which includes manufacturing facilities in Japan and China, as well as sales and service support around the world. ESPEC is the largest company solely dedicated to the manufacture of environmental chambers, allowing them to concentrate on quality construction and innovative designs. Both their U.S. and Japanese manufacturing operations are ISO-9001 registered. I have 4 Turbo vap ll units- 3 will not heat. How do I check if the heating element is still working? Advise this member. The keypad label buttons on my Thermo Scientific Sorvall Legend Micro 21R centrifuge aren't working. Any ideas on what could be the problem? Advise this member.